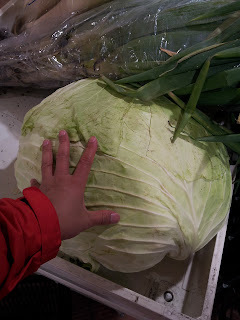 Life in Sapporo Hokkaido, Japan: Coleslaw Anyone? Spotted these huge Cabbages in our local supermarket in Asabu. 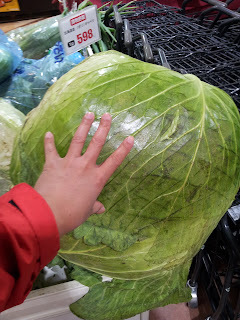 You must have a big family or love Coleslaw to need to buy one of these huge Cabbages for 590Yen ($6.50 AUD), food in general is very cheap her so not bad..